Fairtrade Fortnight started on Monday. This fortnight is all about highlighting the work farmers and workers do in developing countries and making sure they are paid a fair wage and that their products sell at a good price. I have always been aware of Fairtrade and picked up products where I see them. In the past it was always in health food shops and specialist shops, but now supermarkets are realising how important Fairtrade is and they are selling more and more. In my opinion good quality chocolate is a must. There are days when only cheap milk chocolate will do, but generally you should always pick a good quality chocolate with high cocoa content. You can really tell the difference and it is much more satisfying. You need less chocolate to get that chocolate hit, which has to be a good thing. Chocolate and Love is a family business that sell luxury Fairtrade and organic chocolate. The collection includes seven different flavours- Coffee, Creamy Dark, Rich Dark, Mint, Orange, Panama and the popular Sea Salt and Caramel. My favourites have to be the orange and the sea salt and caramel. 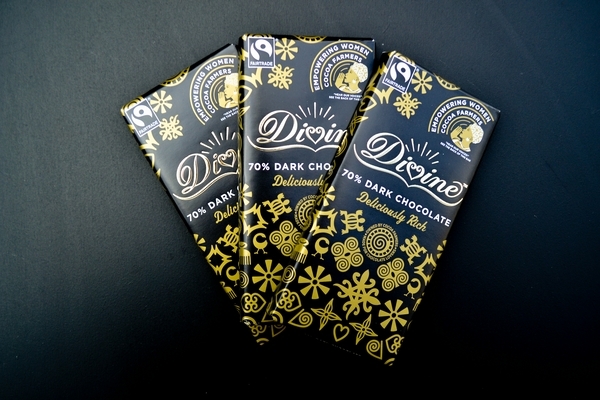 Divine Chocolate is a Fairtrade chocolate company 44% owned by Kuapa Kokoo, a cocoa farmers’ co-operative in Ghana. The chocolate is made with premium quality Fairtrade cocoa and pure cocoa butter. The other ingredients are carefully sourced from Fairtrade growing communities around the world with Fairtrade sugar from Malawi and Fairtrade vanilla from Madagascar. These limited edition bars tell the story of eight of their female farmers on the inside of the wrappers. The chocolate inside has a good snap and has a great flavour. Dark, but not bitter. A good buy. They also sell bags of minis, which are great to keep in a bowl for a small chocolate hit. I was surprised to find out that Sainsbury's is the world's largest retailer of Fairtrade products. I have seen some in store, but didn't realise quite how much they sell. 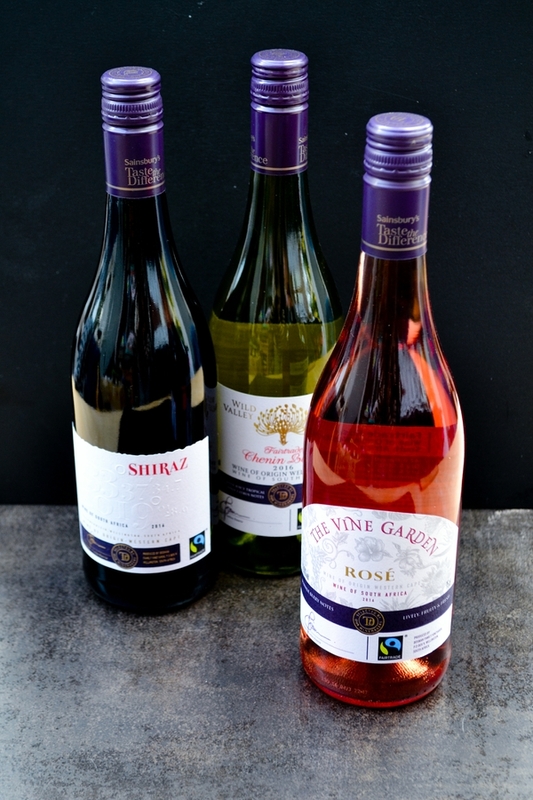 One of their Fairtrade ranges is Taste the Difference South African wines. I've been trying the Fairtrade Shiraz, Chenin Blanc and the Vine Garden Rose. All three were good quality wines, but I liked the white the most. It was a really easy drinking white and quite fruity. The rose needs a hot summer's day to be enjoyed properly. All three are reasonably priced at £6. The Ethical Superstore was a new shop for me to browse round. They only sell eco-friendly alternatives to everyday shopping such as food, cleaning products, make-up and even fashion. They also champion Fairtrade products like these All Good Organics soft drinks. Aren't the bottles beautiful? Lemony Lemonade was my favourite. 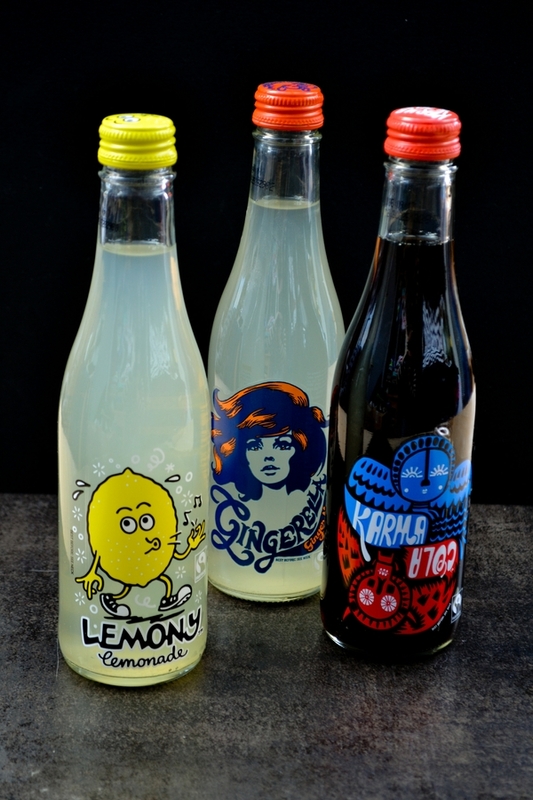 It has that sour tang of fresh lemonade, The Karma Cola reminded me of frozen cola pops I ate as a child. Pleasant, but not my favourite. The Gingerella Ginger Ale was also pleasant, but didn't have the hot ginger kick I love. 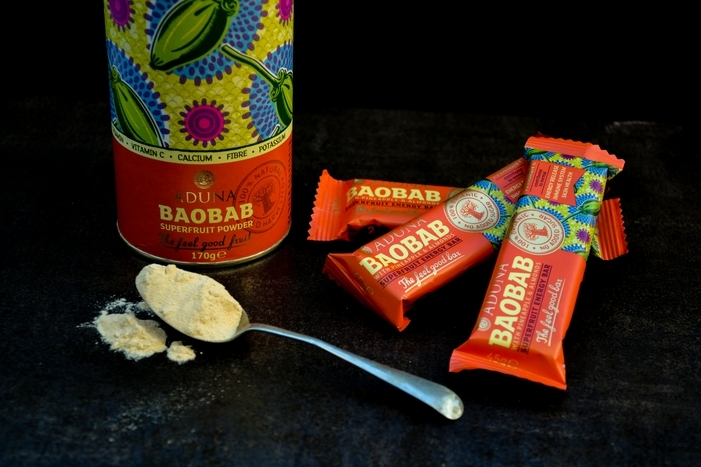 I've been adding baobab to smoothies, porridge, soups and stews for a few years now. In case you haven't heard of it Baobab is the fruit from Africa's 'Tree of Life' and is known as a superfood. It is high inn Vitamin C, Fibre and Antioxidants. Baobab doesn't hold the Fairtrade logo as it isn't a commodity, but they do work directly with small-scale producers and pride themselves on paying well for the product and also pay the women to process the fruit, so they make extra profit. They are working with 500 female producers in Upper East Ghana to source the fruit and 176 work in the processing centre. 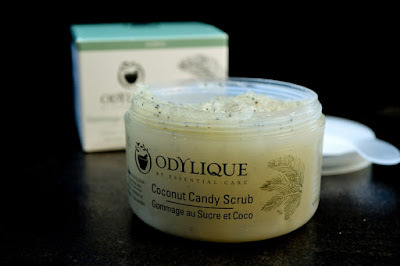 Fairtrade doesn't just cover food and drink and with that in mind, I tried this luxurious coconut body scrub from Odylique. It's expensive at £25 but it's kind to your skin and lasts for a while. It is soil association approved and is organic, natural and suitable for vegans. I'm loving it. It smells good and leaves my skin soft without irritating it. 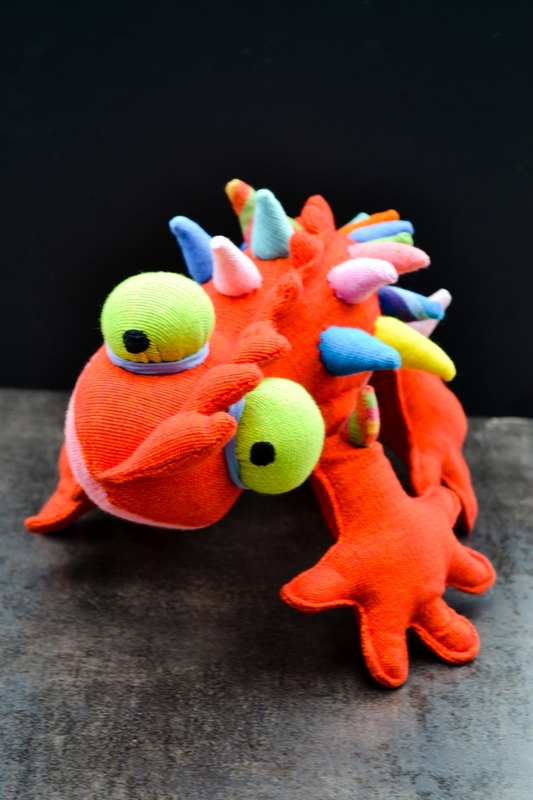 He's something a little bit different isn't he and it's nice to know the craftsperson who made him was paid fairly for their work. My absolute favourite product from this exploration of Fairtrade is this Vego Chocolate Bar. It's a big fat slab of heavenly vegan chocolate that is creamy and tastes like Nutella in solid form and is studded with whole hazelnuts. Graham and I instantly fell in love and didn't want to share. Boy it was amazing! I hope I have inspired you to look out for and try some new Fairtrade goods during Fairtrade Fortnight and beyond. You can follow the conversation on social media with #choosefairtrade and check out some more ideas over at Tin and Thyme. Disclosure: I was sent a variety of Fairtrade products to try. I was not expected to write positive reviews and any views expressed were my own. I do try to buy fair trade mainly chocolate and coffee. Waitrose have an excellent chocolate range of their own brand. 200g as well. I realise you probably don't have access to Waitrose but many of your readers will. No, there is no Waitrose here even though we are tripping over supermarkets here in Dundee. Nice tip though. I love to buy Fairtrade when I think of it, but to be honest I don't give it as much thought as I should. 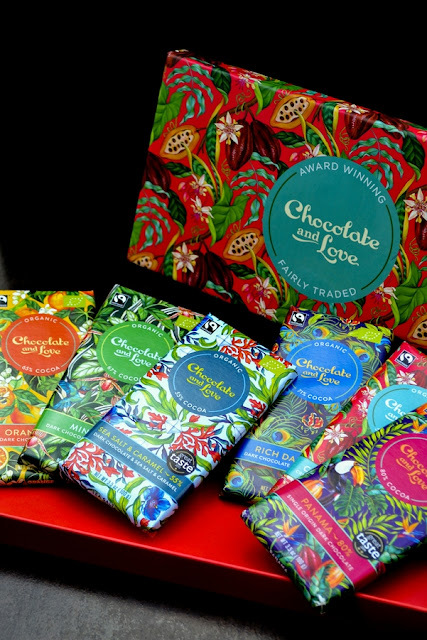 It's great to see some of the lovely Fairtrade options there are out there! Yes I am the same as you. I think it depends on what is available where you shop. 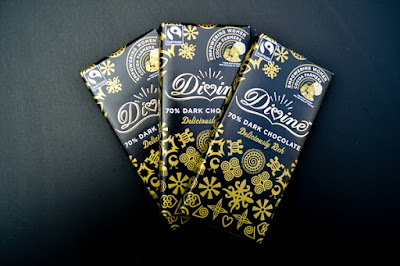 I'm a huge fan of both Divine chocolate and Chocolate & Love. Great to see your selection of other products to look out for! You had me at chocolate! What a great cause, supporting businesses that are good for the environment and people. Haha, that would be me too! I love discovering new faritrade product so thank you for the post. Lot's of new products to try! Hope you left with some inspiration!